Bali Fashion Bags from Indonesia fashion bags bali. Bags from factory and manufacturer in Indonesia. Handmade bags craftsmen in Indonesia. Fashion bags made in Indonesia with various natural materials including fabric, leather, straw, abaca, mendong, hemp etc. All organic fibers handbags and ladies bags combined with other materials including resin beads, sea shells, mother of pearl shell, recyle glass and many more. Handmade bags from Bali. Women bags bali Indonesia. Handmade bags from Bali Indonesia direct from the producer. 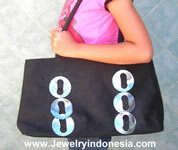 If you interested in importing women bags from bali, consider buying from us. Our company CV MAYA is fashion bags producer and exporter company. We employ village women to produce bags according to our designs. We provide materials and design. We control the quality directly. We're not simply buying all handbags from shops in Bali and export it to you. We work directly with the craftsmen. Browse our handbags catalog and soon you will find many handbags for women made of various materials including straw, abaca, waterhyacinth, rattan, agel, jute, rafia, mendong and other organic fibers combined with various natural ornaments including sea shells, mother of pearl shells, bamboo, vetiver grass. 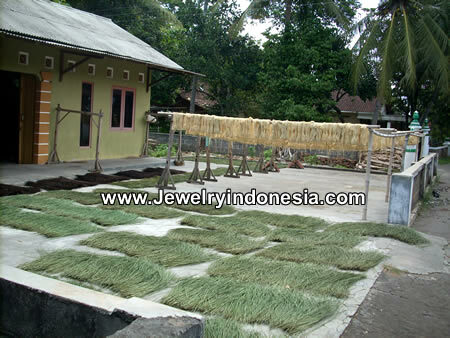 If you need rattan bags, bamboo bags, vetiver grass bags from Indonesia you have come to the right place. We're supplier and exporter company with years of experience exporting fashion bags to wholesalers and distributors around the world. We're also able to supply you with leather handbags from Indonesia. We have many of coconut shell bags from Bali. 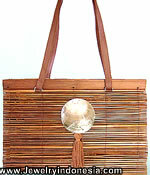 Browse our catalog of coco shell bags, bamboo bags, rattan bags with sea shells. Coconut shell bags from Bali Indonesia. Handbags for wowen. 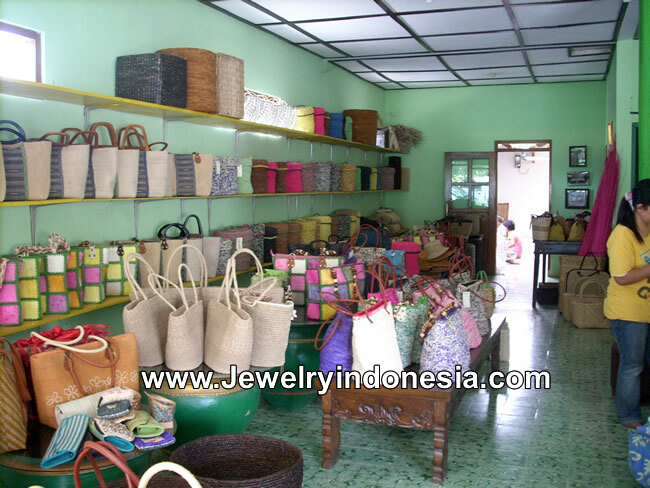 Ladies bags made of coco shell wood by bags manufacturer and producer company in Bali. We're able to produce more than 10,000 pieces of coco bags in one month. We export our coconut bags to many countries including Hawaii, Jamaica, Tahiti, Bahamas, The Carribean and other tropical paradise. Competitive price, contact us now, we will give quick response to serious inquiry. No need to go oversea to work as house maid. Your order keep family together ! Village woman working with handloom tool to produce fabric for our bags. We employ many village women. We provide them with fund to buy tool, materials and pay them for their works. Your order help us to provide village women with more income so they don't have to go to other country (Malaysia, Hong Kong, Arab countries etc.) to work as house maid. Your order for our natural bags keep families together! Village women working with handloom tool. Woven natural fibres for our natural fibers bags such as straw bags, rafia bags, pandanus bags and other fashion bags using organic materials. Our company CV MAYA work together and closely with many woven and craftsmen like this. We provide fund to buy tool, materials and labour. We enable village women to work. Your order for our rattan fashion handbags, grass bags, women bags support these women from remote village in Indonesia accross Bali and Java. Village men preparing natural fibre mats to use as materials in fashion bags also to use as placemats and table runner. We're also able to provide you with natural fibre placemats and table runner made in Indonesia. Drying the materials for fashion bags. We must properly dried the organic fibers used in fashion bags. Shown here rafia fibers in natural and colored. We are able to make any natural fibre bags in any colors. Simply tell us the color for the fashion bags, we'll make it for you. 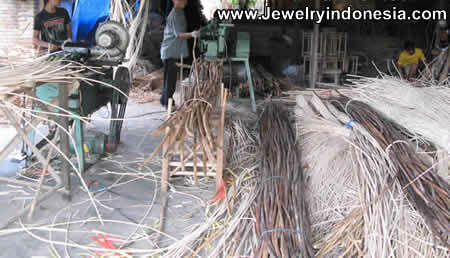 Peeling rattan in Indonesia to use as rattan handbags from Indonesia. 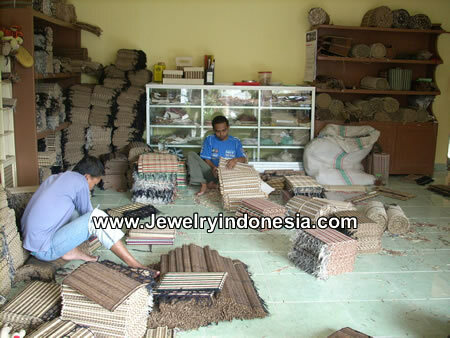 We're producer of rattan bags from Indonesia. Photo above show you workers peeling rattan, separating the rattan core from the rattan skin. Nothing wasted from rattan. All rattan part is useable. Rattan is the most eco-friendly materials together with bamboo. 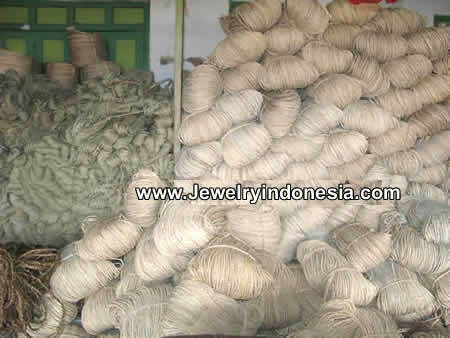 Mendong, agel, rafia, gajeh, banana abaca and waterhyacinth fibres in stock ready to use as material in natural bags. Indonesia is rich in natural fibers and skill craftsmen, enable us to produce quality fashion bags with reasonable price. As producer, we're able to supply fashion handbags with competitive price, direct from the factory and manufacturer. Buy Indonesian bags from us and enjoy quality bags with factory direct price. Bags showroom in Indonesia. Fashion handbags from Indonesia. Women bags from CV MAYA, a fashion bags manufacturer company. We're fashion bags factory, producer and expoter also wholesaler. We have various bags made of organic materials including rafia, mendong, straw and waterhyacinth. All kind of bags including handbags, wallets, tote, shopping bags etc. Handbags with leather from Indonesia. Rattan bags from Indonesia. Other than rattan handbags, we're also able to supply you with bamboo bags with leather. All kind of bags including handbags, shopping bags, women bags, purse and tote. Handmade bags from Bali. Handcrafted fashion bags. Wholesale price direct from the producer manufacturer and exporter company with years of experience in supplying many importers, distributor and wholesalers companies worldwide. Clutch: Small nite bags without a handle. Satchel: leather bags to carry books has a handle and a strap. Duffel: large bag used for travel or sports. Tote Bags: A medium to large bag with two straps. Messenger bag: A bag with a long strap worn across the body. Sling bag: bag with a long strap similar to messenger bag but smaller. We're adding new products to our fashion accessories and costume jewellery collection regularly. Please visit our Instagram page Bali Accessory. We recommend you to follow our instagram page. Visit also our Facebook page Bali Accessory. Feel free to email us with questions. Our business is open on appointment only. Please call first. Please contact us in advance. Organic Coconut Sugar from Java Indonesia. 100% Natural Crystal Coconut Sugar. Healthy Unrefined Coconut Palm Sugar.Coconut sugar direct from coconut farms on hills of Java Indonesia. Certified organic coconut palm sugar factory in Indonesia. Place your order for organic coconut sugar here.